Chisinau is the capital and the largest city of Moldova. Located in the middle of the country, on the river Bîc, Chisinau is the main industrial and commercial center of the country. Chisinau is the most economically prosperous locality in Moldova, and its largest transportation hub. It has a population of 664,700. Where is Moldova? Moldova is a country in Eastern Europe. The country is landlocked, even though it is very close to the Black Sea. What countries border Moldova? Moldova is bordered by Romania on the west and Ukraine on the north, east and south. What are the administrative divisions of Moldova? Moldova is divided into thirty-two districts, three municipalities and two autonomous regions. Moldova has 65 cities, including the five with municipality status, and 917 communes. Who or what is Moldova named after? The Principality of Moldava was founded in 1359. The political center was located in the valley of Moldova River. The origin of the river's name is not clear. One theory is that Prince Dragos named the river after his dog Molda. Molda is reported to have drowned in it after an exhausted hunt. What currency is used in Moldova? The Moldovan Leu, denoted by the ISO symbol, MDL, is the official currency of Moldova. The Moldovan leu was adopted on 29 November 1993, following the collapse of the Soviet Union and the creation of the independent republic of Moldova. What is the official language of Moldova? Moldovan/Romanian) is the official language of Moldova. Russian is also widely spoken in the country, both as a first and second language. Ukrainian and Gagauz are recognized minority languages. What is the economy of Moldova like? Moldova remains one of the poorest countries in Europe despite recent progress from its small economic base. Moldova's dependence on Russian energy was underscored at the end of 2005, when a Russian-owned electrical station in Moldova's separatist Transnistria region cut off power to Moldova. The onset of the global financial crisis and poor economic conditions in Moldova's main foreign markets, caused GDP to fall 6.5% in 2009. Economic reforms have been slow because of corruption and strong political forces backing government controls. Nevertheless, the government's primary goal of EU integration has resulted in some market-oriented progress. For which industry is Moldova widely known? Wine industry forms the major part of Moldova’s economy. The majority of wine produced in Moldova is for export. The recorded history of such production is found in documents as well as memorials. The Moldovan language (spoken) and folklore also show wine making was the general occupation of the population. 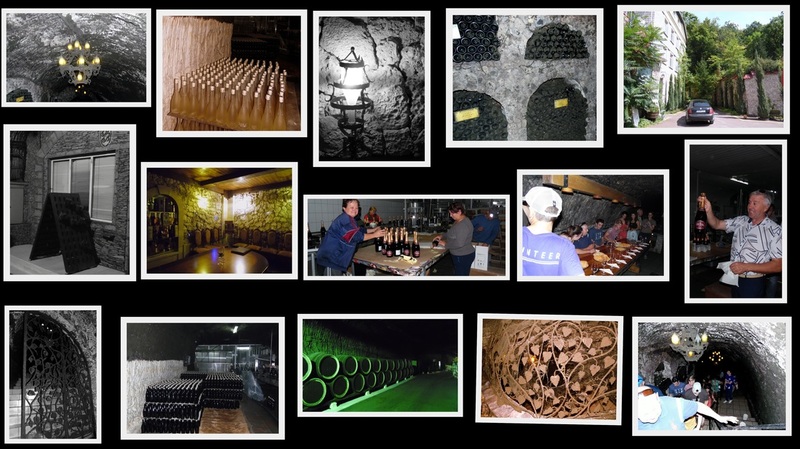 ​A visit to a winery can be seen in photos below during August 2016. Moldovan's have some of the richest soil on the planet, a dark-black soil that will grow almost anything and it is all over the country. With that soil is a hardworking skilled workforce, who for generations have toiled endlessly to grow crops to feed their families. Add to this a mild climate and a central location for distribution,and it’s no wonder that agriculture and food processing make up 40 percent of Moldova’s GDP and 45 percent of its exports, to more than 70 countries. About 75 percent of Moldovan land is used for agriculture, which is the highest rate in Europe. Moldovans’ work ethic was strengthened during the Soviet occupation, when everyone was required to work or study,and land was used for collective farms. A spirit of cooperation and dedication to labour built a very productive work force. After the Sovie tUnion broke up in the early 1990s, land was privatised, giving each family about 4-6 acres. But this created a patchwork of very small farms that are terribly inefficient with modern machinery. Over the past two decades, that patchwork has eroded, through transfers of land, sharecropping, farm associations and service cooperatives. This has improved efficiency, but poor access to credit and crop insurance still make large scale farming difficult. Moldovans have an efficient production chain for milk and dairy products that allows easy entry in trade for hard work. Thousands of families own cows, earning a steady income and a large bonus when it is time to sell. Here is an average day in the life of a Moldovan family with a cow: First,someone will milk the cow, usually before sun- rise, (except in the summer when it is light before 5 a.m.) They may take a little milk for their family and put the rest in a pail or jug, which they will carry by hand, cart, sled, or wagon to a nearby collection station, usually run by someone in their community. The amount they bring is recorded,and they are paid each month, (about 40 cents per gallon.) Some people earn money by outfitting their horse carts or vans with large containers and carrying milk to the collection stations for people. The cows must be fed each day and in summer, this usually means walking them to afield and leaving them for several hours. A rope or chain attached to a stake in the ground keeps them from roaming. People organise into groups and share the feeding part, with each family volunteering certain days each month. Mothers, fathers, grandparents and children all participate, herding dozens of cows from homes in the village to large fields, tending to them for several hours and returning them home in the evening. Numbered ear tags and each cow’s instincts help get them back home again. When a cow is ready to “retire,” the family can really cash in by selling their old milk machine for its meat. Moldova is a beautiful country, with lovely landscapes of forests, lakes,rivers and farmland with few buildings in sight. Is this by accident? No, it’s all by design. Two laws help keep this land so undeveloped. One, clearly made centuries ago, is that buildings are not allowed on farmland outside of villages or cities. One could locate the entire population of the country on a map, just by circling every city and village. So, travelling through Moldova, as you leave a community, all you see are beautiful forests and farmland until you reach the next community. This is great for the traveller, but perhaps not so good for people who would like to live out in the country. This does not appear to be a regional or European thing, as houses line rural roads in Romania. Another beautiful thing about Moldova is that land around bodies of water is owned by the government. So, everywhere you see a lake, pond or river, you will not see a single home. Other reasons few homes are built near water may be little control of water levels,and lack of flood insurance. Thanks to the US Peace Corps for providing this information.